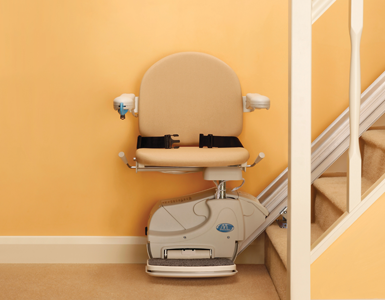 Rental stairlifts are an ideal solution if the stairlift is required for temporary use. Stairlift Installation prices of a rental stairlift start from £450 which includes the first 2 months rental and then £40 per month thereafter. Rental stairlift prices include all stairlift maintenance and servicing. Contact Us at South Wales Stairlifts for your FREE STAIRLIFT CONSULTATION. We install stairlifts all across South Wales including Cardiff, Newport, Swansea, Bridgend and Neath. So call us now. More pictures of our rental installations in South Wales can be viewed here, rental stairlift pictures.